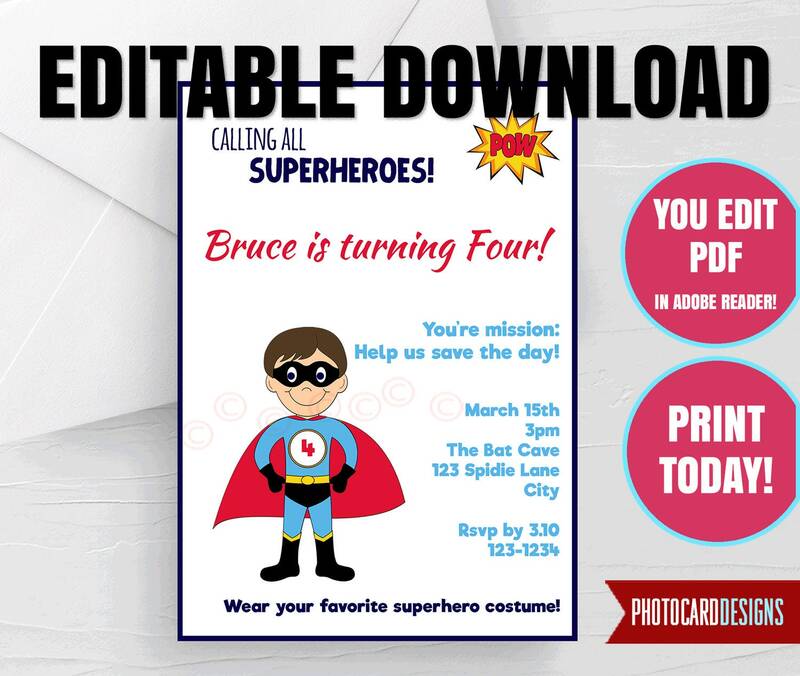 Send this fun Superhero Birthday EDITABLE Invitation to all the little Superheros! Encourage them all to wear there own superhero costume to the Party! Designed with your Superhero in mind!